Great coffee tables are no longer just means of holding cups for when guests arrive -they have turned into integral parts of cool interior design. 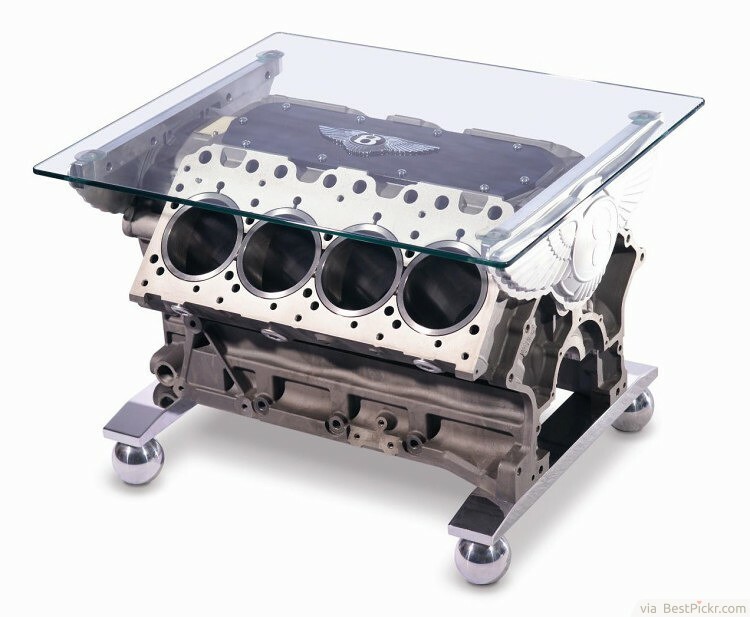 Unique coffee table designs can set the room’s atmosphere, whether it's to save space, create impressive focal point, or simply look stylish or strange. 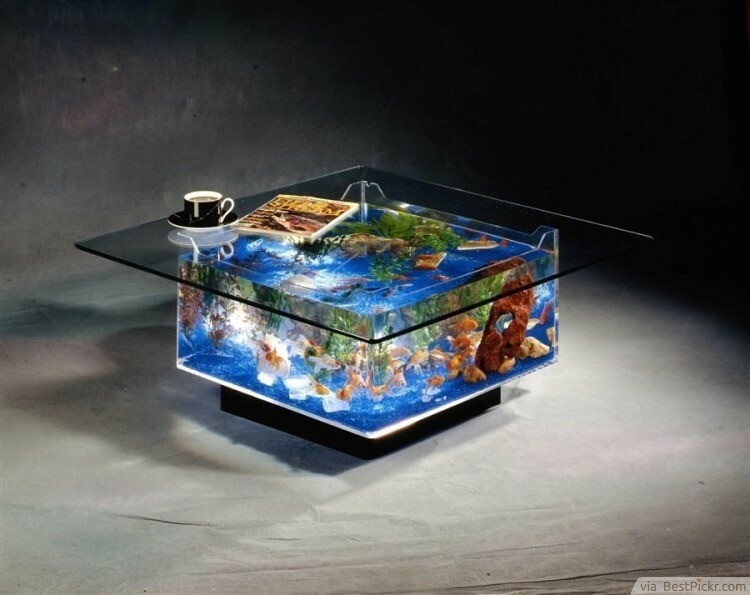 Here are some unusual coffee tables with creative, quirky and sometimes, weirdest ideas in the world. Bring the “under the sea” adventure at the comfort of your home. 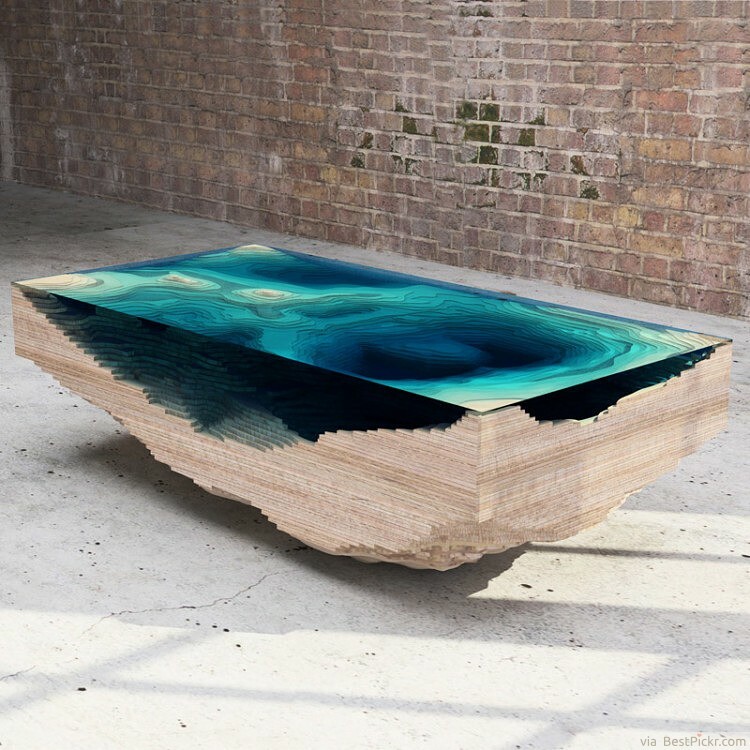 You will absolutely leave your guests with no choice but to look deep down this majestic creation, before setting a good cup of tea on top of this impressive coffee table by Duffy London. 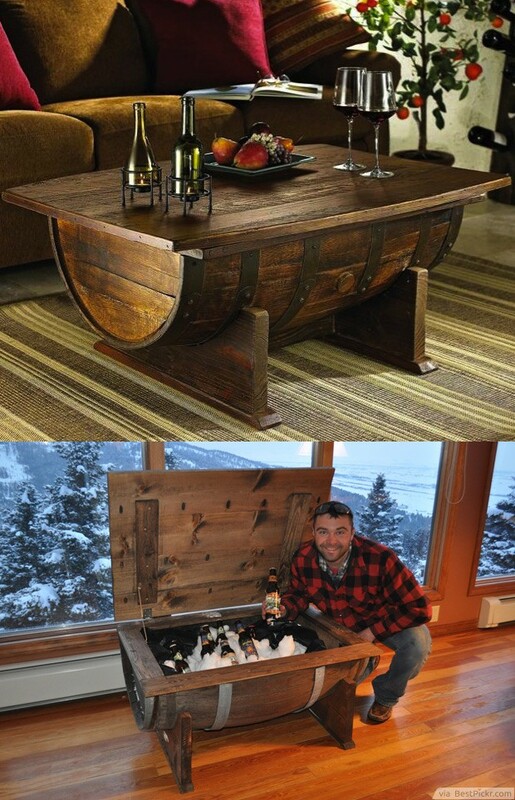 Adding a laid-back ambiance is easy with this rustic whiskey-barrel turned table. 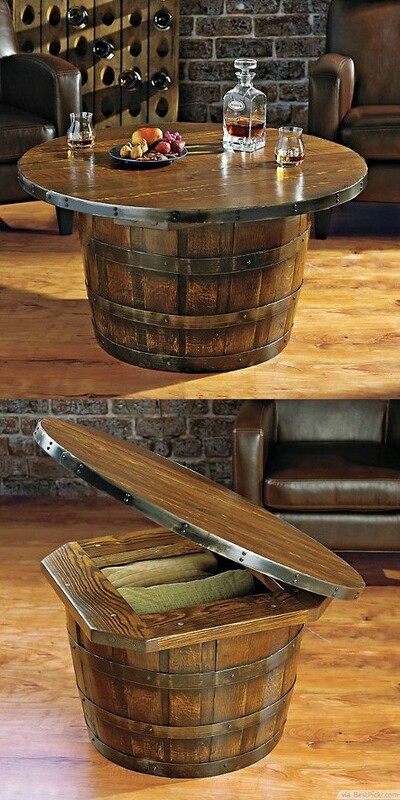 Not only is it space-saving because of the secret storage, it is also a table perfect for old friends trying to catch up in life. 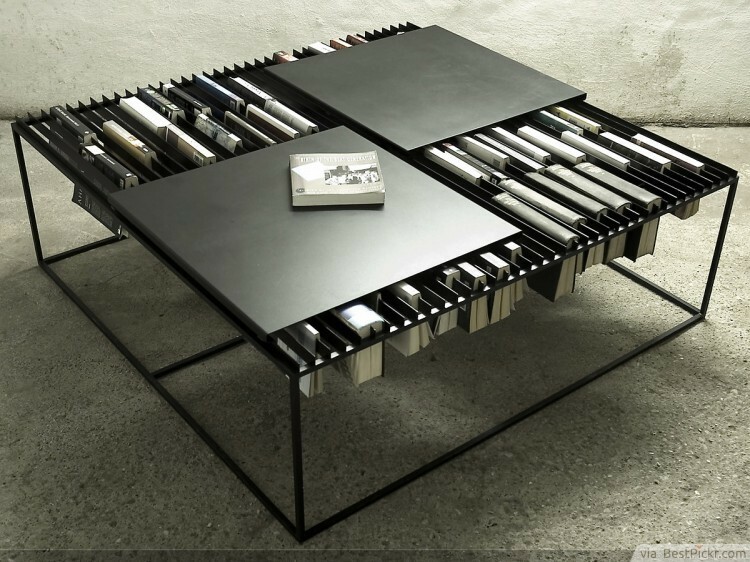 This unusual coffee table is not just flexible in function, it is also flexible in design. As your guests need more cups of coffee, slide the boards for additional space– the change in structure is also an impromptu design change. 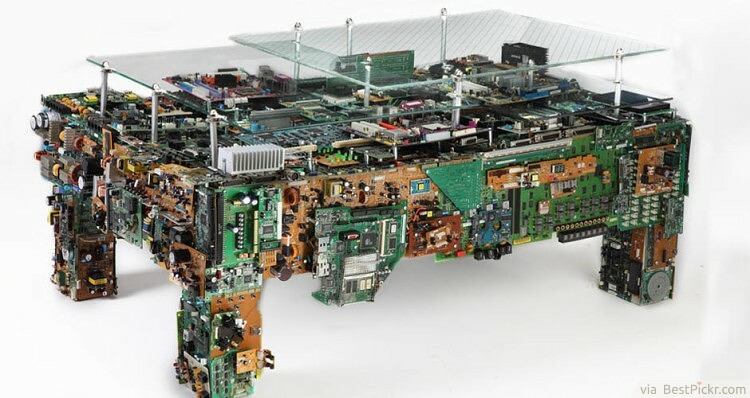 Can’t let go of your computer boards? Why not enclose a collection of them in crystal clear glasses supported by wooden frames? This project is truly nothing short of unusual -technology underneath a glass of coffee. Mixtapes have been the absolute companion of music lovers before– now it’s just history. 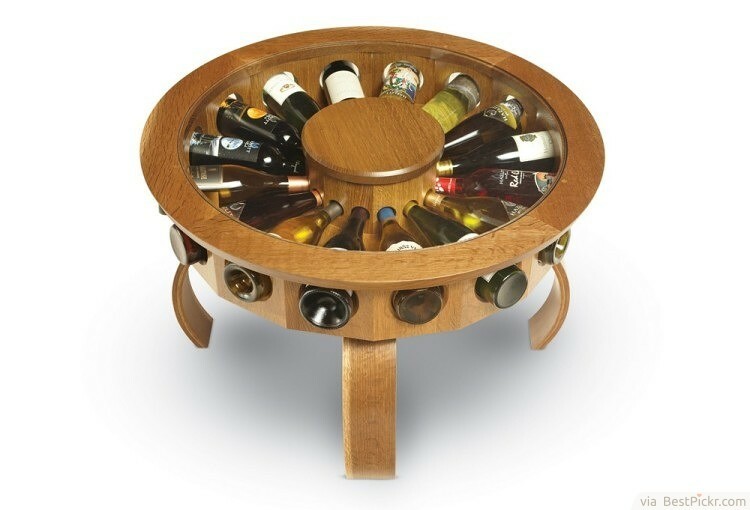 Designing your contemporary coffee table with its structure will bring out sentimental feeling from the times before. Like a piece of puzzle finally solved, this perfectly sculpted wooden coffee table will bring completeness in your living room. Stick four wood crates together and fill the hole with beautiful accessories like pieces of wood or shells, what you’ll get is a natural coffee table with a lot of storage spaces. To give it a rustic feel, paint the boxes with neutral colors or simply stain it. Once you have a tree stump, let it dry for a few months (it really takes time!). When it’s dry, peel off the bark and apply wood filler to large holes. Now, you can either paint it, or if you want most of the natural texture to remain, just stain it. To make it more functional, add tiny wheels to make it movable. Check out the link above for full diy guide. 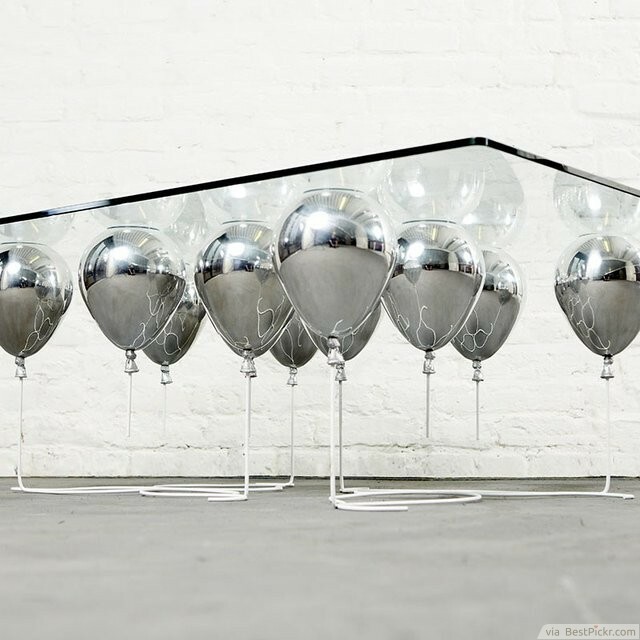 As long as you have penchant on queer things and there are no kids to ask about the table’s strangeness– let this table keep the conversations alive. This may be the epitome of uniqueness. 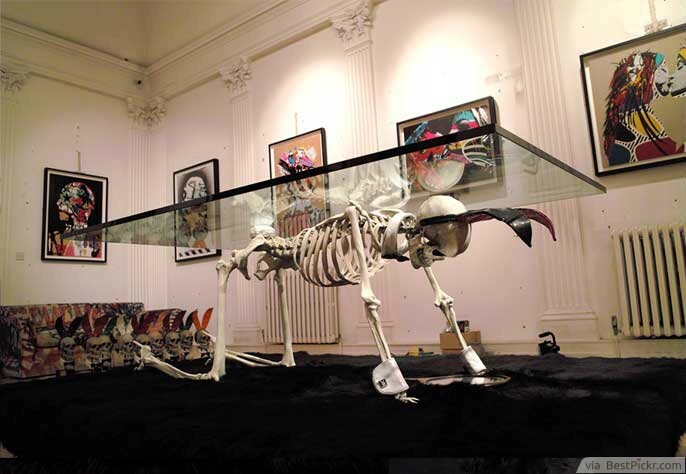 A skeleton on all fours, carrying a glass top — what can be creepier than that? This weird furniture will be the attraction to end all the attractions in your home, albeit, it is really a spooky one. Entertainment and hobby are just a desk away. 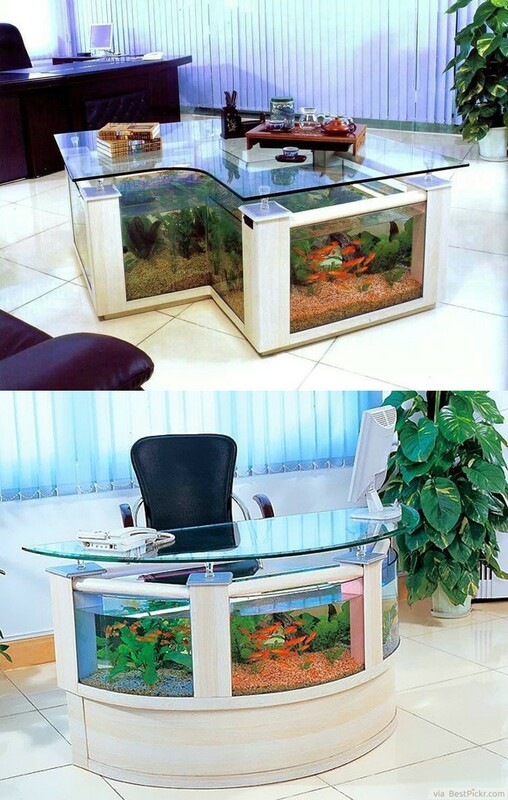 This one of a kind idea will amaze your business clients, what with gold fishes swimming here and there as you sip your drink? 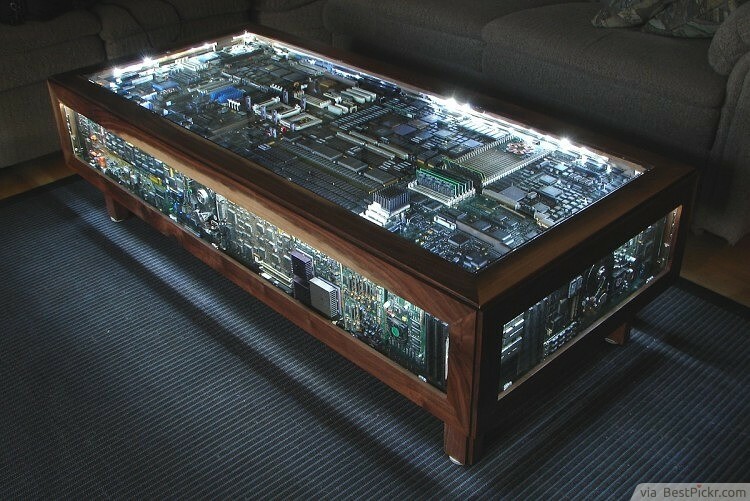 Unusual but modern– this cool coffee table powered by Windows is perhaps a sweet dream come true to legit gamers. 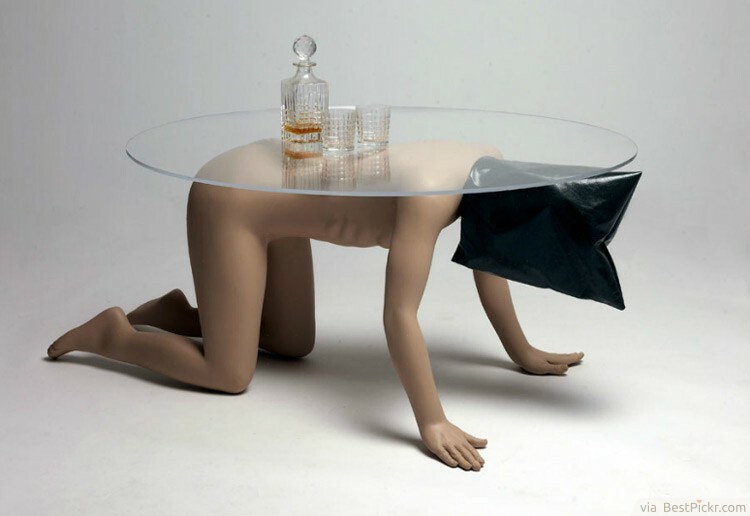 Don’t worry though, your beverage and contemporary furniture are safe from each other. 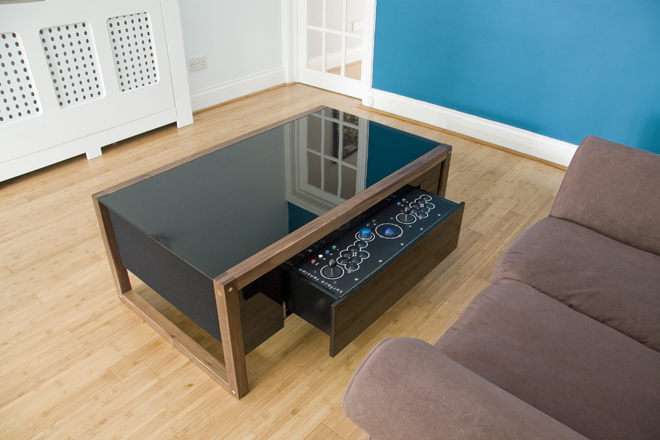 No one will argue that G4 towers were once a perfect geek companion, so why not preserve its essence by recycling it as a stylish support for an unique coffee table idea? That way, a piece of Apple’s success is in your living room. If shelves are for books and walls are for picture frames, where will you store your wine? Looking for awesome style? 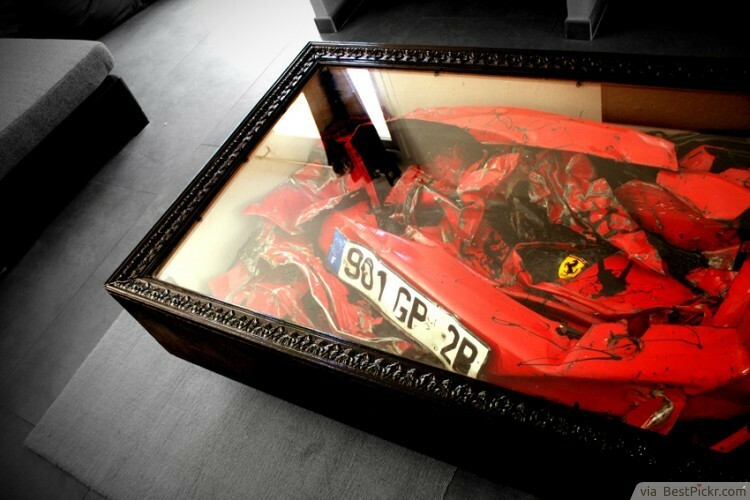 Then, why not store them in your cool coffee table? Not only is it practical, it also looks impressive. 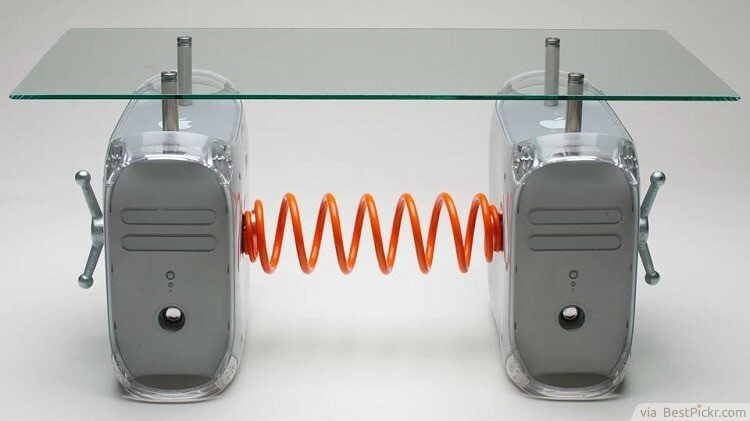 Inspired by Disney and Pixar’s animated movie UP - this designer coffee table is bound to make you smile. Don’t worry though, the balloons won’t fly away, they are actually made of metal! Slide the table tops and look for the book you are up to read (it can hold a lot!). Gently place a cup of soothing tea and relax. 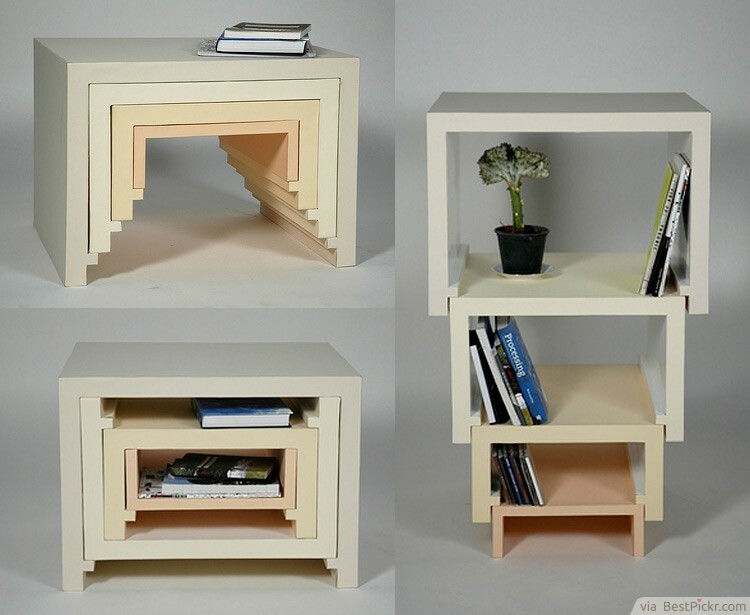 This cool bookshelf is not just space-saving and functional, it is also original and smart. A few computer chips here, a lot of motherboards there, and voila! Who said that technology can impede in a geek’s artistic talent? 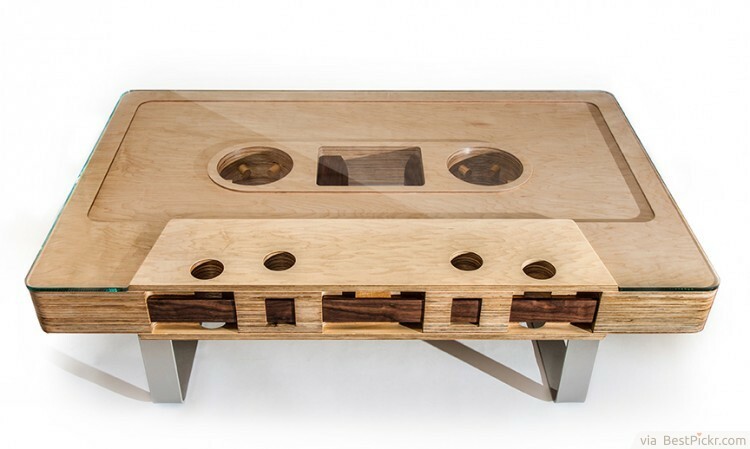 This unusual coffee table says otherwise. 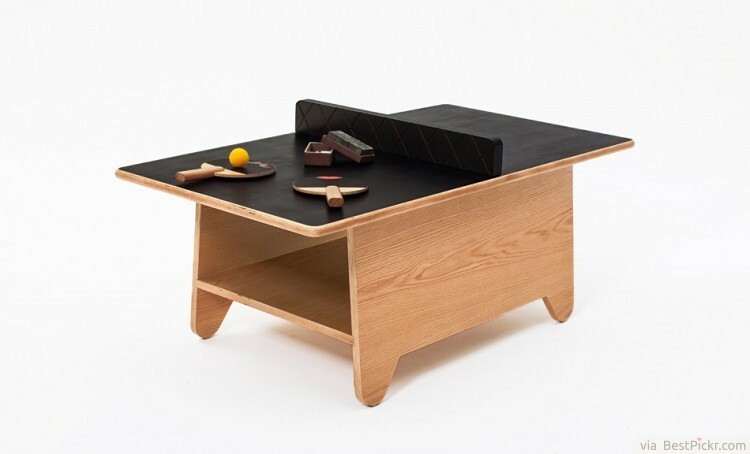 Furniture such as this are available in BRC Designs. 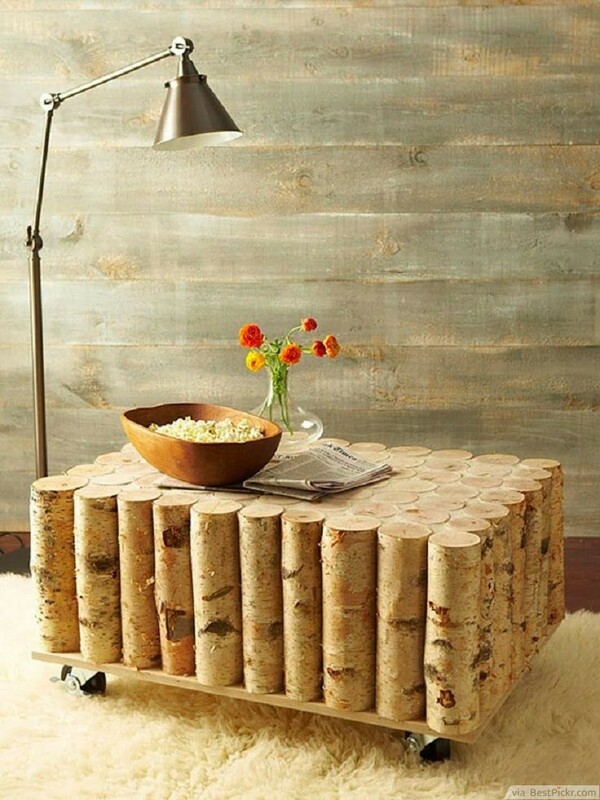 Who says logs are only used to light up the fireplace? 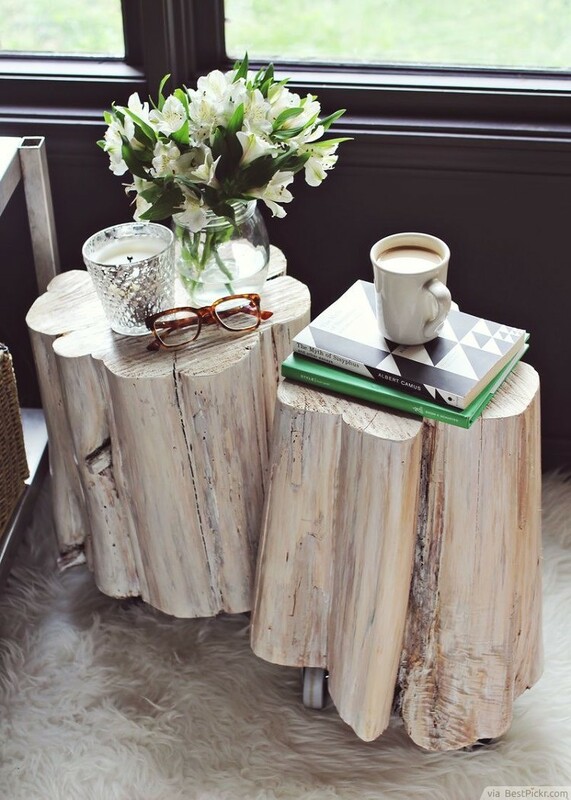 Natural, rustic, and old-fashioned—this is what you’ll get when tree logs are placed side by side to form a rustic coffee table. Add wheels and roll it where you want it to be. 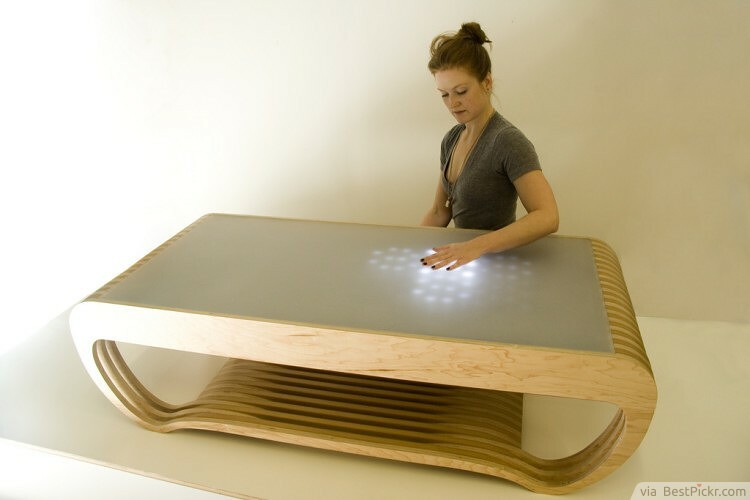 With a table that reacts to your touch, coffee time will surely be interesting. Press the surface with your hands or fingers and watch as it lights up. This will surely keep your guests entertained. Create a beautiful fish tank and show your masterpiece to your guests. 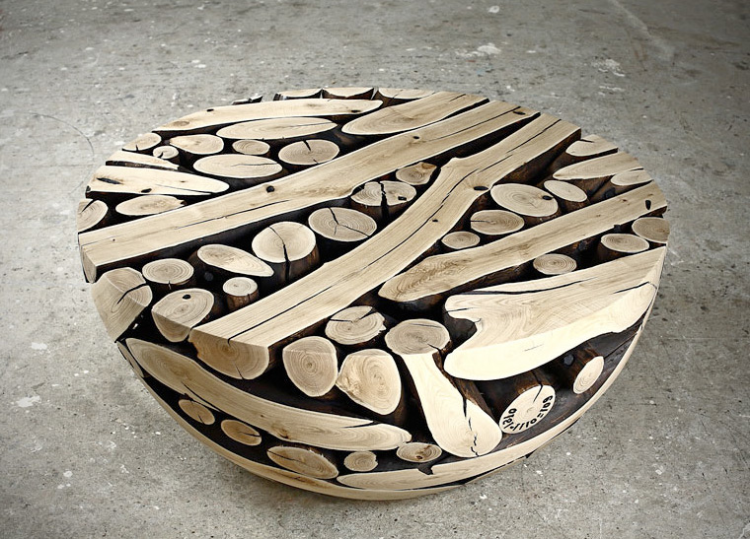 This unique coffee table design is even perfect as a natural focal point. Install some lights and let your art glow. 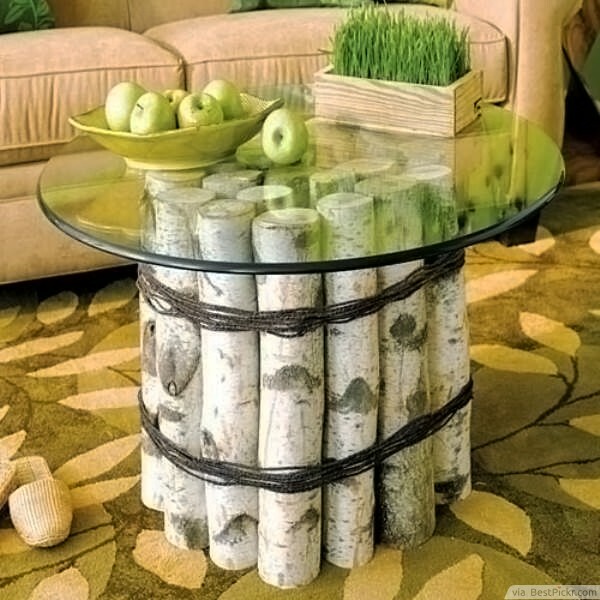 …Or you can also tie the logs together and place a glass top. Fewer woods do not make it any less beautiful. A game should not just be on the screen, it should also hold your cup of tea. 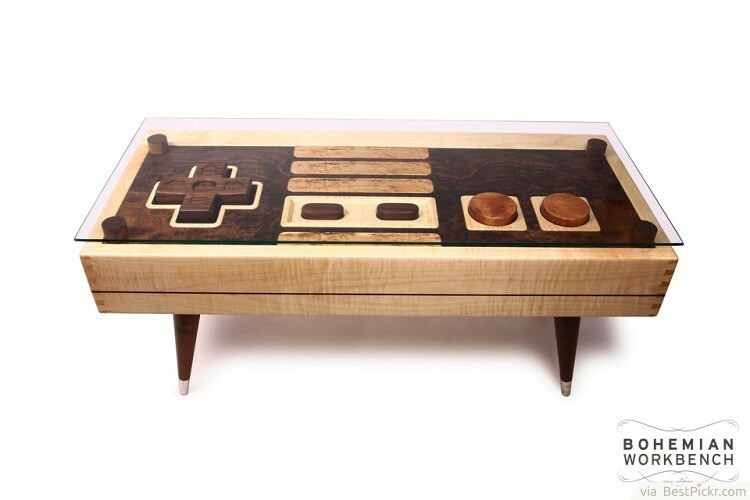 Make your gamer friends smile with this unusual furniture that features a Nintendo controller. You can buy it at Etsy. Why settle for stiff, if you can move it? 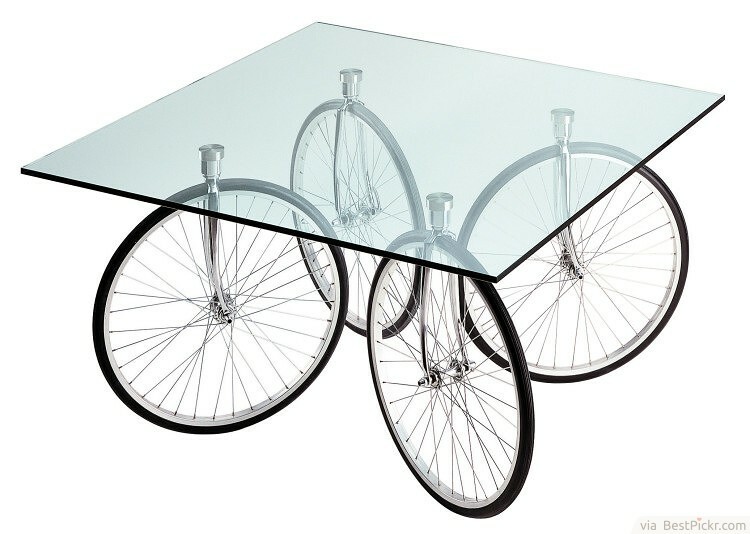 Deliver your guest’s drink right in front of him using this unusual bicycle-inspired coffee table. Purchase it at Made In Design. You might not know how to play the piano, but you still can own pieces (particularly bolts and wing nuts) of it. 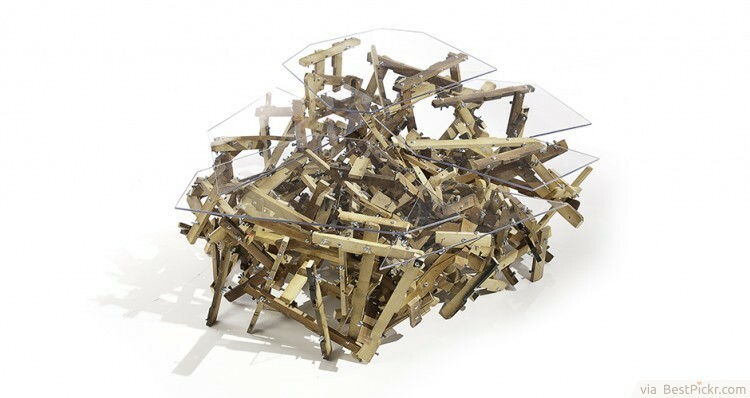 If you’re fond of abstract artwork, this may be the designer furniture for you. 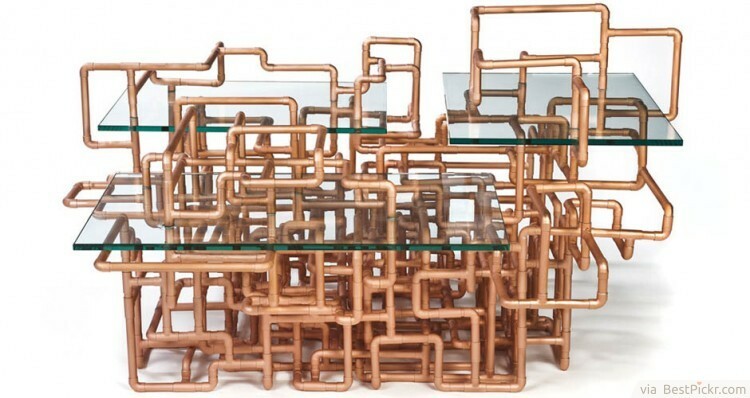 If you have a penchant for maze games – pipes can make your dream maze table come true. This unusual design is also geared towards solving the problem in copper theft, as their prices are high.